Joni (or could it be Jane?) 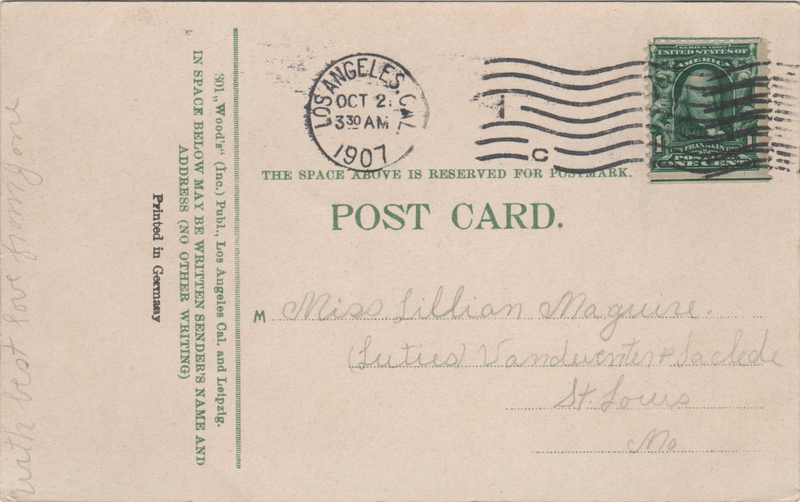 is sending an affectionate hello to Miss Lillian at her work address (rather than at home), all the way from Los Angeles, California! 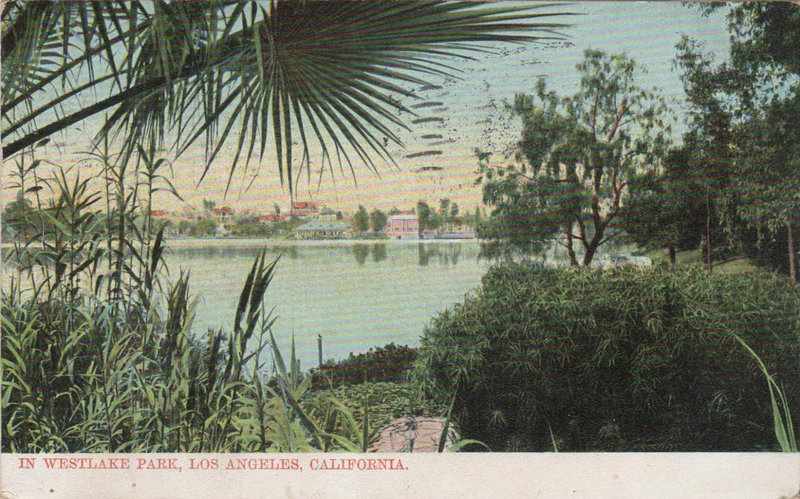 Such an exotic destination in that era, I would think. It is a fairly "girlish" penmanship, if I may call it that, so I think this is clearly from a female friend or family member.